Bowl showdown between the brothers Peyton and Eli in the city where they were raised, New Orleans. Dr. Lox points out that numerous athletes are turning to regenerative medicine to heal chronic injuries. 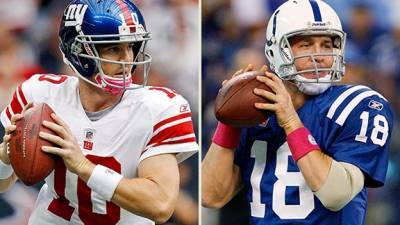 In Manning’s case, cervical fusions do not generally do well in the NFL. Numerous players have had their careers ended with this type of injury including Michael Irvin. The Bucs’ Mike Alstott was able to play after the cervical injury and fusion but often times, recovery is difficult in the very nature of professional football by being tackled, puts an enormous stress on the cervical spine even in a fused state. Dr. Lox points out that it is no wonder that Manning turned to any type of procedure including stem cell therapy afterwards to try to give him the best chance of healing in order to return to such a physical game and also to perform in his highest level. Dr. Lox points out that numerous athletes have turned to this technology and returned to higher levels of functioning. Most recently in Major League Baseball, Bartolo Colon had a resurgence in his career after having stem cell treatment to his shoulder. If Peyton Manning does get into the Super Bowl, this would mark the first time that a starting quarterback has had stem cell therapy to aid in his rehabilitation.